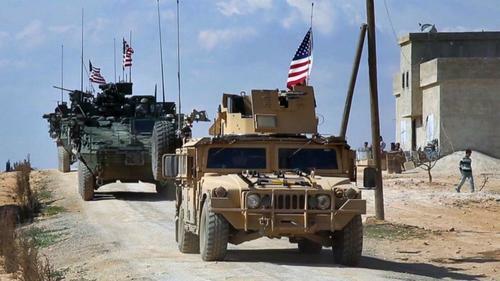 The US plans to keep about 1,000 troops in Syria, despite an earlier announcement by President Donald Trump to completely withdraw them from the Arab country, the Wall Street Journal has reported. The reversal comes after talks with Turkey as well as US-backed Kurdish forces and European allies failed to produce an agreement on a “safe zone” in northeast Syria where terrorists are based in their last bastion. Trump has suggested the creation of a 30-kilometer safe zone along Turkey’s border with Syria, but has not specified who would create, enforce or pay for it, or where it would be located. Turkish President Recep Tayyip Erdogan has warned the United States and allies operating along the Syria border that any safe zone in the area should be under Ankara’s control. Citing American officials, the Journal on Sunday said the US now plans to keep working with Kurdish militants in Syria, despite Turkish threats to launch an offensive against them. The proposal, the report said, may keep up to 1,000 US forces spread across Syria. The evolving discussions represent a shift away from Trump’s decision to withdraw all American troops from Syria, the newspaper said. Trump announced his decision to withdraw all 2,000 US troops from northeastern Syria on December 19. The decision shocked allies and top US officials who see the withdrawal a victory for the Syrian government. The pullout was initially supposed to be completed within weeks, but it slowed down as opponents of the pullout frantically lobbied for troops to stay. Last month, the White House announced that around 200 American troops would remain in Syria on a “peacekeeping” mission. The Journal said members of Trump’s national security team had urged him to secure assurances that Turkey wouldn’t attack US-backed militants once American troops pulled out. The US denied the new report, saying plans for a residual force of around 200 troops had not changed. “A claim reported this evening by a major US newspaper that the US military is developing plans to keep nearly 1,000 US troops in Syria is factually incorrect,” General Joseph Dunford, chairman of the Joint Chiefs of Staff, said. “There has been no change to the plan announced in February and we continue to implement the President’s direction to draw down US forces to a residual presence,” he said in a statement. Turkey considers US-backed YPG militants a terrorist organization and an extension of the outlawed Kurdistan Workers’ Party (PKK), which has been fighting for an autonomous region inside Turkey since 1984. The Turkish military launched two cross-border operations in northern Syria, the first dubbed “Euphrates Shield” in August 2016 and the second code-named “Olive Branch” in January 2018 with the alleged aim of keeping Kurdish militants at bay.